Super handy hard bristled brush made from a natural bristle called Bassine which is a coarse, tough fibre. 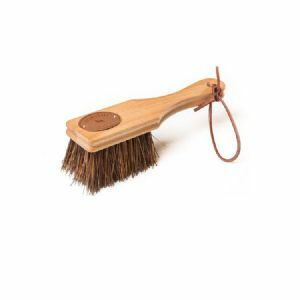 This bucket/hoof brush is perfect for using on hard to clean items or muddy hooves. We use ours for scrubbing feed buckets and water troughs.